The near reaction eye exam is one of the most commonly done examinations to see whether a person’s eyes are normal or not. In this case, there are so many common things that should be considered before during and after conducting the test. The eye exam is important to understand if there any serious condition on neurologic, retinal and other diseases. Therefore, examining the pupils of someone’s eyes is very important to do. The examination should also be done by the professional, thus the condition will be treated professionally with the given requirements and other procedures. Always take the note that before examining a patient’s eyes they have to remove the spectacles or any other vision correction they use. Before you go further with the test, you have to also know the normal condition of human pupils. 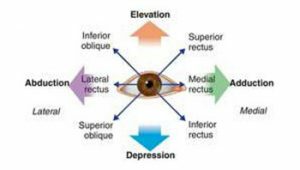 In this case, the normal pupil of a human will be shaped round and symmetrical. The location of the pupil is at the center of the iris. It is usually the dark parts of someone’s iris. You can also examine the condition be comparing the two pupils on the patient’s eyes. But, in some cases, you might also find that there are some conditions in which the patients have different size and shape of eye pupils. 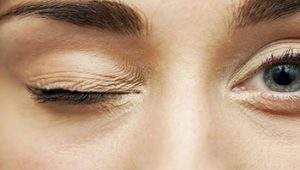 This condition is called as the anisocoria. Anisocoria can be caused by the surgical effect on the previous medication and other traumatic experiences. Then, you have to also examine the pupil size on the near reaction eye exam. Under the normal lighting, the pupil has to appear nearest to 0.5 mm. 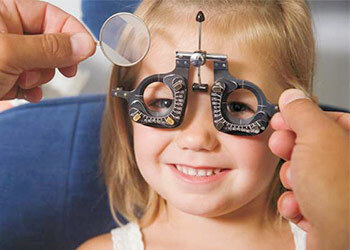 The measuring can be done by using the millimeter ruler or the pupillary gauge. The challenge can be found at the examination conductor determine the exact size of the pupils. The size of the pupil will change as there might be lighting that can attract the reaction of the pupil to get wider or smaller. This means you will have to seriously consider the pupil condition so that you will find the exact condition of the pupil. In checking the condition of a patient’s eyes, the examiner has also to see the reaction of the pupil to the light. In this case, the examiner will bring the light beam from the outer corner of the patient’s eyes to the center of the pupil. The normal pupils will react to the light and it will get wider or smaller. Besides, the light can also be a sign to see the accommodation ability of a patient. This means a person will perform the pupil reaction towards the moving light. 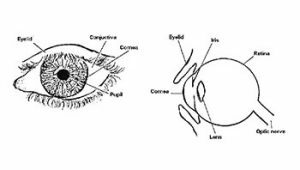 As mentioned before, pupil examination is very important especially in detecting any issues towards the neural condition on someone’s body. The examination should be considered as something crucial for the early detection. 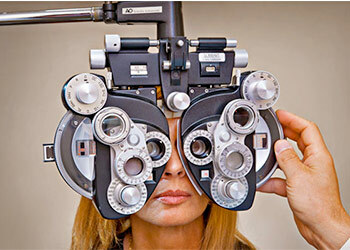 In this case, the examination can be done by the eye experts on the eye clinics. But, there is also some conditions in which the people will not get normal pupils, like the ones who have blindness, the people who have been under the cataract surgery and the ones who are still on the eye medication. This means they will perform different result on near reaction eye exam. 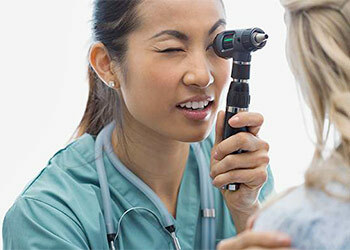 The first test that will be done in eye examination is the physical checking. In physical checking, the exam conductor will do some procedures that will enable them in examining the condition of the patient’s eyes. The first is to see the eyebrow and eyelash condition. The eyebrows should spread as the width of the eye, which will make it balanced. Then, for the eyelash, it has to be curved upward so it will be considered as normal eyelashes. You can also retract the lower lid to see the conjunctivae. Besides, you can also choose to see any abnormality like eyelid sagging and droop on the patient’s eyes. The second, the most popular test is the Understanding the Eye Exam Light on Eye Medications. This is a test which will enable the exam conductor to see whether someone’s pupil is normal or not. In this case, you have to use a tool that can produce the light beam. We recommend the penlight for getting the light beam on your patient’s eyes. In this case, you can place the light beam obliquely on the patient’s pupils. Then, you have to see the reaction occurring on the eyes. The normal pupils will have PERL (Pupils Equal Reactive to Light) with no RAPD (Relative Afferent Pupillary Defect). The third test which can be conducted in examining the eyes’ normality is the color blind tests. The test can be conducted by using such a simple way. You will get the patient a book in which consists of the patterns of colors. There are many colors that can be seen there. If the patient has color blind, they will not be able in detecting the numbers made by the color pattern on the books. There are two kinds of color-blind condition, which are the partial and total color blind. Those three tests have a different purpose in determining someone’s eye health. The physical examination will figure out how the physical condition of the eyes can be seen. The second test which is the pupil examination will also figure out how the pupils react to the light. The pupils will also react to the light by getting wider or thinner. This will make your eyes to be examined perfectly by the experts. Those assessments are actually easy to do. But to get the most accurate result you have to be treated by the professionals, especially the eye exam light. 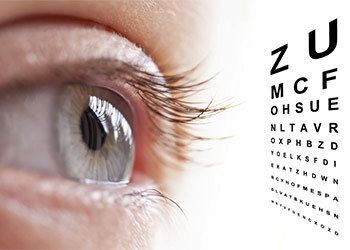 Refraction eye exam is also known as vision test which is usually given as a part of a routine eye examination. This test will decide whether you need the contact lenses or glasses. For the normal eye, you are able to read letters from 20 feet away and 3/8 inch of tall. The normal value is 20/20 vision. If you don’t have perfect vision, 20/20 vision, you get the refractive error of your eye. Refractive error means when the light passes through your eye’s lens, it is not blending properly. This test will make you use an additional prescription lens to have 20/20 vision. You can take the test to ensure your eye doesn’t have any kind of those conditions which can force you to have the perceptional lens and use it wisely. In this era, the one who should take this kind of test is not for adult only, but the kids must have too. 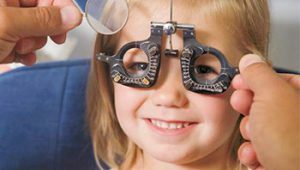 Many kids use gadget every day and it can cause the problem of their eyes, so you have to ensure that your kids still have perfect vision in their age. The most common problem of the eye is myopia conditions. It is caused by the using of gadget or something like that every time, so they get the radiation from those things which caused their sight getting lower than normal vision. Thus, if you have kids or even you are using the technologies like gadget or PC, you need to take this test to ensure you still have the normal vision or not. If you don’t have normal vision, you should wear glasses in your daily activities and you should check your eyes for 6 months once to ensure your vision will not get lower and worse. If you didn’t take this refraction eye exam while you use gadget every day, absolutely it will make you disturb your activities cause of your bad vision. Iris Eye Exam is a quick retina test. Retinal testing takes only a few minutes and can be completed quickly. You can come directly to an ophthalmologist to perform such primary care. This is a screening service performed by retinal specialists. The doctor also oversees the process of this test. Doctors and patients have access to the highest quality retinal test services. Retinal tests use advanced equipment. This test is performed using an automatic fundus camera. This camera can be used easily and has an affordable price. Retinal testing provides comprehensive system installation and training to assist physicians in serving patients well. This service can provide images with high contrast so as not to change the geometry of the image. This test uses small objects well so it can lower costs and produce good image quality. This technology can detect eye disorders quickly. This technology will show the type, size, and shape of the pathology. The results of the detection will be presented via a platform with a website to humans. It is a network of skilled technology. This technology uses algorithms to adjust the pattern. This tool will detect the Iris Eye Exam findings and use screener for extra detection. This will improve the performance of doctors because it has critical and complex applications. This tool has a sensitivity of 97% so that algorithms on this tool can experience performance improvements in the future. This test uses a powerful and simple web platform so you only need an internet connection to run this technology. You do not need any skills in software. This technology has followed the requirements issued by AAO so you can read the classification in real-time with clear images. This technology has a function that consists of multi-user accounts, secure access, EMR, printing reports, production, interacting remotely with the doctor, and additional comments. Healthcare workers can make reports to patients in detail using this platform. Officers can print and send the e-mail to the right doctor. Reports that can be made by this platform are class conclusions and findings, conclusions from this test, regular images, normal images, and information from such patients. This platform can copy the report to the patient and send another report to the ophthalmologist. Doctors will be given referrals to get help from retinal specialists around the area. Doctors may recommend this test for diabetic patients during routine hospital visits. The patient is in front of the camera while performing retinal tests. The physician’s assistant will perform the test quickly without pain by using an automatic camera. The camera will scan the retina and print the image digitally. 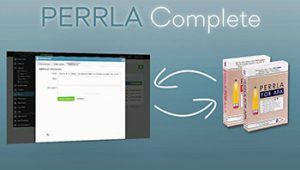 Usually, patient perrla eyes take less than 15 minutes to perform retinal tests. The specialist will get a high-quality image after the patient performs the test. This is an image with enhanced quality so that it can be clearly seen by the Iris Eye Exam specialist. The results of these images use cloud storage and secure technology. This technology can detect pathology and show specific areas quickly so that doctors can perform the examination after the test. The retina scanner with the official certificate will read the image and provide a report that is easy for the patient to understand. That is the advantage of Iris Eye Exam.